Bar and nightclub safety precautions: How club owners are reconsidering patron safety. Bar and nightclub safety precautions countering rising violence trends: A consideration of ways establishments can help create safer environments for patrons. Serving amazing drinks and providing an environment where people can relax and enjoy themselves is only part of the equation when it comes to running a bar or nightclub. You also need to make sure that everyone who visits your establishment stays safe. Fights or other incidents can not only drive patrons away but they can also put both your guests and your staff in harm’s way. A recent seminar conducted by the CEO of Nightclub Security Consultants, Robert Smith, delved deeper into the topic of nightclub safety, providing helpful tips and information that bar owners can use to create a safe environment for their patrons. All that you have to do is look at the statistics to see that violence is on the rise. A recent publication from the Bureau of Labor and Statistics showed a staggering 23% increase in gun violence over the past four years. In most cases, shooters stop firing as soon as they are challenged. Interestingly, the FBI found that half of all shooters stop shooting as a result of actions by a citizen who is not armed. All bar and nightclub owners need to have a solid understanding of these statistics so that they can do their part to help stem this rise in violence. In part, the recent increase in violent behavior can be attributed to the long-term effects of violent movies, video games, and other media. The younger generation grew up seeing violence on a daily basis, desensitizing them to its effects. Additionally, the increased use of handheld devices has led to a decline in the development of interpersonal skills. When young people don’t have these skills, it is often difficult for them to deal with conflict in a way that is healthy rather than resorting to violence. Typically, patrons who resort to violence fall into one of four categories: angry customers who are still inside the club, angry customers who have been kicked out of the club, customers who are dealing with domestic violence issues, and customers who come to the nightclub with a violent plan already in mind. Of these four situations, the last is the most concerning for most club owners. In fact, however, most violence in bars and nightclubs occurs as a result of angry patrons who are either still in the club or who have been kicked out by the staff. * Make sure your staff is properly trained on how to survey the crowd to keep an eye out for potentially dangerous activities. * Go through your current safety protocols and make changes as needed. * Think about the aggressor differently. * Never let someone back in after they have been kicked out. Instead, contact the police and have them escorted away from your business. * Make sure you are on friendly terms with local law enforcement. * Invest in day-glow vests for nightclub staff that they can use when they are clearing out the club. Oftentimes, this is enough to make aggressors believe that they are police officers. * If necessary, use whatever tools are at hand as weapons. Bar and nightclub safety precautions. Remember that night club safety is more important than ever. One way to improve bar and nightclub safety is through the use of ID scanning. When IDs are scanned, a range of information is collected about the owner of the ID including their name and address. Other services such as VeriScan can be used to provide extra validation. 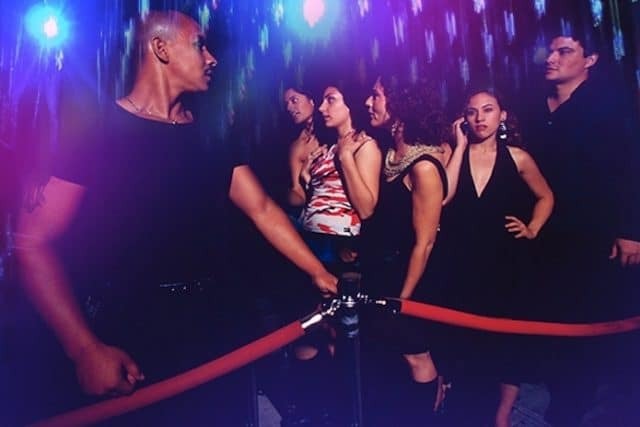 In some cases, nightclub owners who are particularly concerned about vetting their patrons can even tie the IDs that they scan to information in government-run databases. One of the primary benefits of ID scanning is that it helps track the activity of aggressive patrons. For instance, if someone is banned from the nightclub, that information will show up when their ID is scanned if they try to get back in at some point in the future. Additionally, information about particularly aggressive patients can be shared between different nightclubs. The information that is gathered can also be used by the police to aid in any investigations.